As the month of December draws near and we begin to put up all the wonderful Christmas decorations I start to remember the reason we deck the halls. The real message of Christmas is not the gifts that we give to each other or all the fancy feasts, but the reminder of the gift that God has given to us. It is the only gift that keeps on giving. 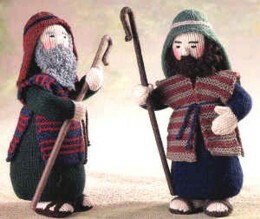 Wouldn't it be a wonderful reminder to knit a Nativity set made from beautiful yarn! 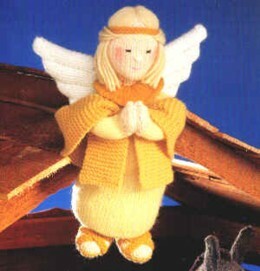 I do not expect it will be done for Christmas this year as I am a beginner of beginners but I would love to depict the rememberance of God's love for us in a tiny knitted nativity scene. Did you know that the first nativity scene was believed to have been created by Saint Francis of Assisi in 1223. Just look at the sweet little figures! Isn't baby Jesus precious! This was one of the cute little figures one of the girls at Woolie Ewe knitted! 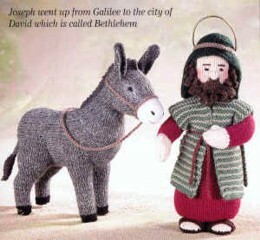 Let us not forget Joseph with his Donkey! 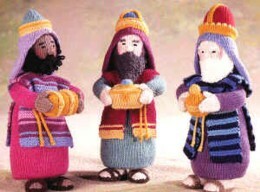 Or the Angel, the Shepherds and the Three Wise Men! 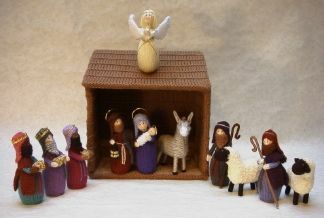 I just love these little figures, what a wonderful way to celebrate the birth of our Savior!